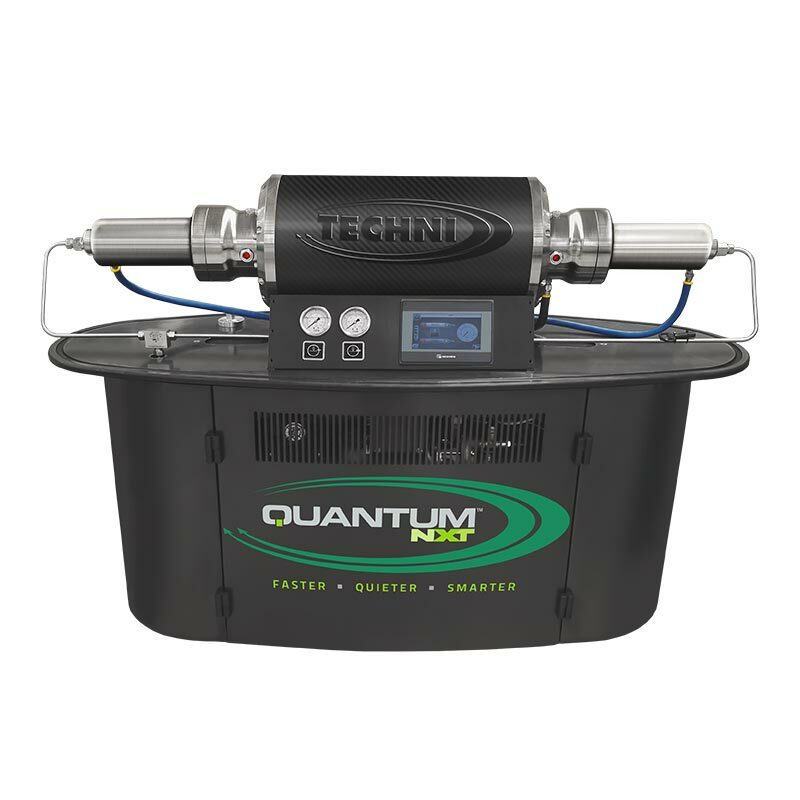 The TECHNI Waterjet™ Quantum NXT™ water jet pump is a revolutionary concept in waterjet cutting. It incorporates a servo motor directly enveloping a high load, precision ball screw. The ball screw directly houses the ceramic plungers, which reciprocate back and forth to create the pumping action, in much the same way as a hydraulic cylinder works on an intensifier waterjet pump. 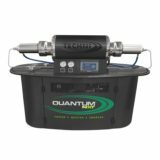 The infinite control of the servo motor and precision of the ball screw, enable extremely accurate control over the output pressure and volume of the water displaced, and eliminates pressure spikes when deadheading. This infinite control gives an operator the ability to program virtually any pressure and flow rate from zero to full capacity, while only using the power displaced at the cutting head. 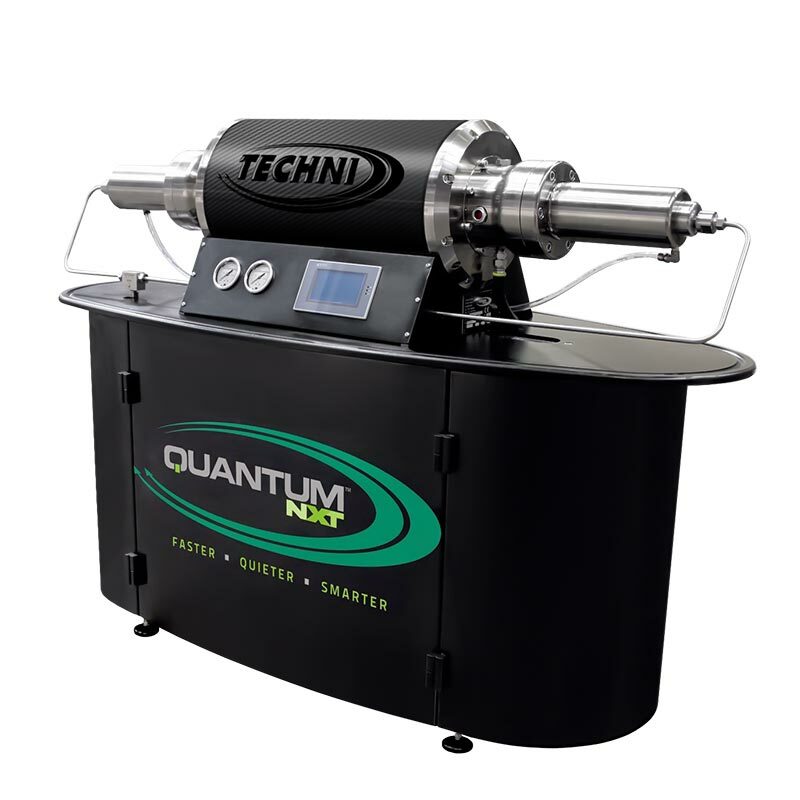 The TECHNI Waterjet™ Quantum NXT™ (Electric Servo Pump) incorporates core “direct servo” technology. This technology was first applied by NASA for the Space Shuttle Program by replacing old-fashioned hydraulic cylinders with new, highly compact, efficient, reliable and infinitely controllable Servo Linear Actuators. This same style actuator is used today in many high end machine tools and presses replacing inefficient hydraulic systems. 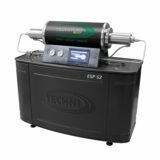 Similarly, TECHNI Waterjet™ is the first water jet pump manufacturer to utilize “direct servo” technology in an ultrahigh pressure waterjet pump and has developed patented designs to integrate the core technology into the most efficient, reliable and controllable ultra-high pressure (UHP) waterjet cutting pump. 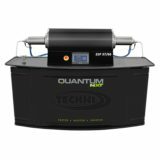 The TECHNI Waterjet™ Quantum NXT™ is the most environmentally friendly, has the least affect on global warming, and has the smallest carbon footprint of any waterjet cutting pump available on the market. 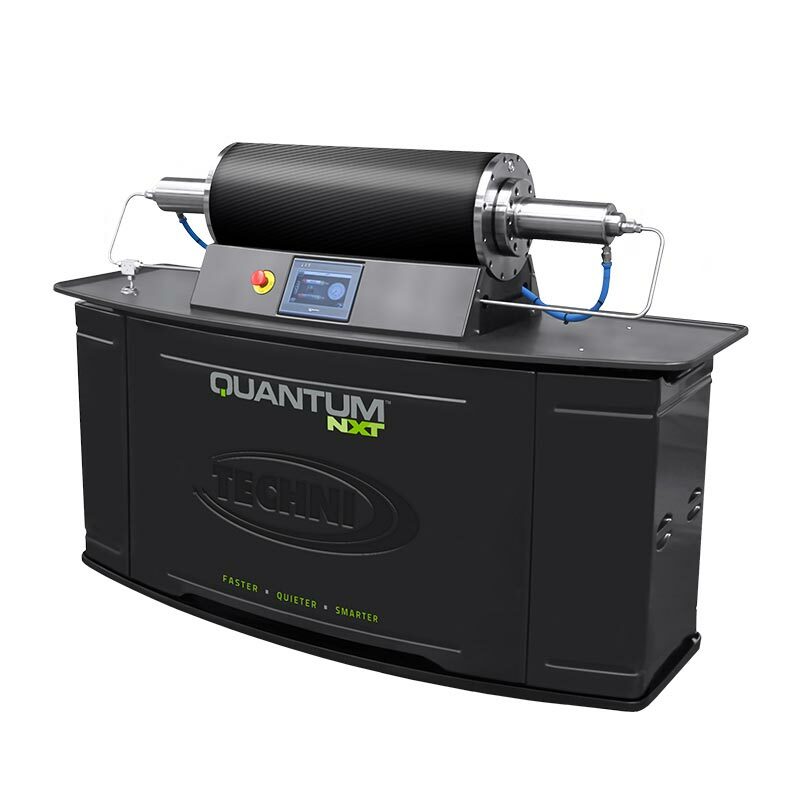 The high level of efficiency achieved by the Quantum NXT™ dramatically reduces the energy consumed and the water required. 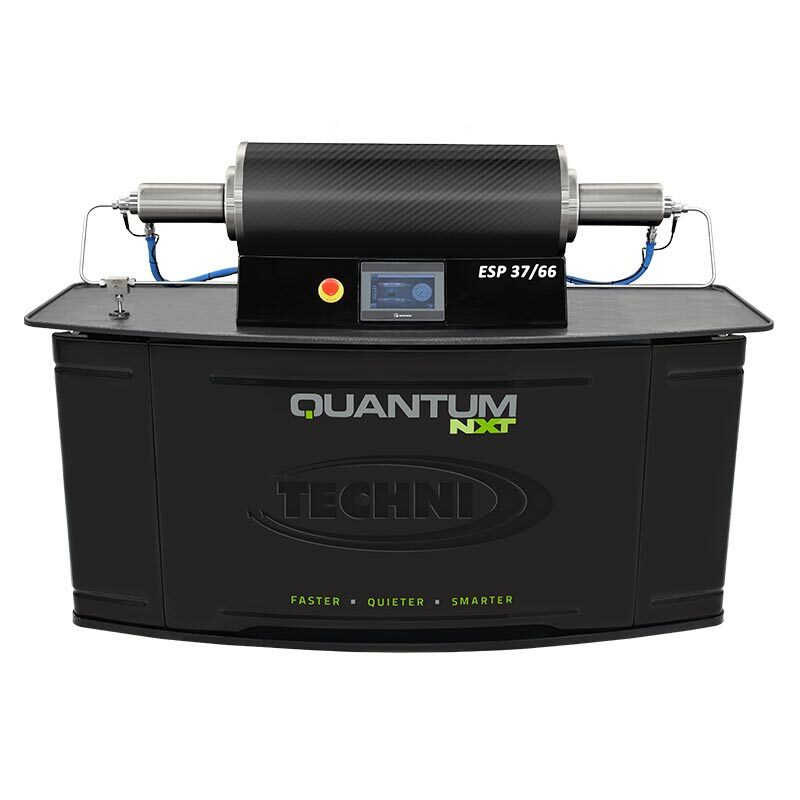 For example, a typical company running a single head waterjet cutting machine with the Quantum NXT™, for a single shift for a year, will save approximately 32,000 kW hrs, saving around $6,080/year in electricity charges, and reducing harmful CO2 green house gases by a staggering 20 tons/yr. 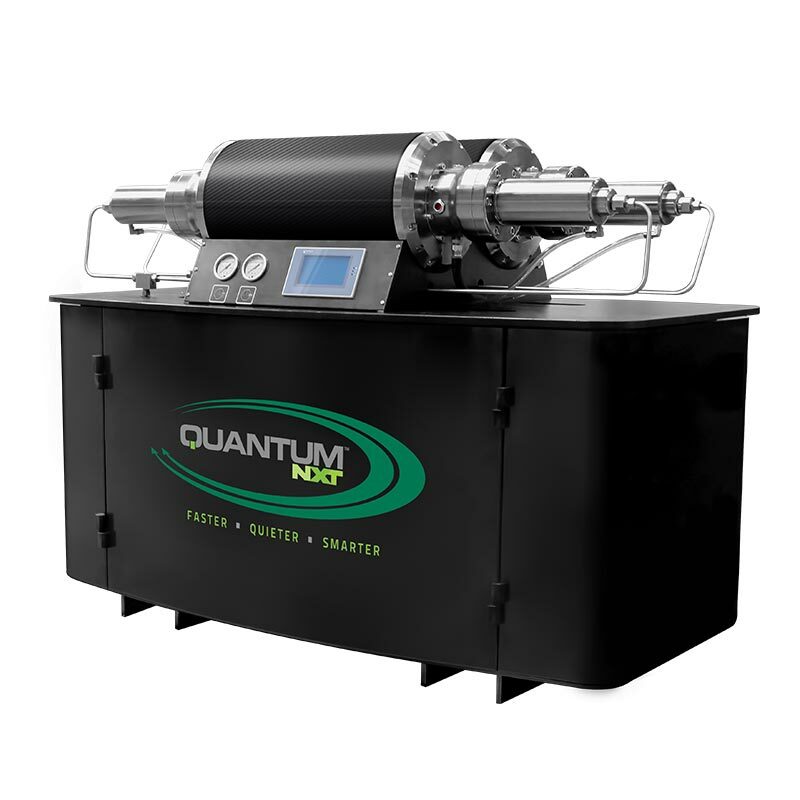 There are also considerable water consumption savings as a result of the increased efficiency. For the same example, savings of approximately 290,000 gallons/yr can be achieved, resulting in savings of around $3,019/year. *Figures are based on a comparison with a typical 50 hp intensifier pump running at 60% duty cycle.